When asked about kid-friendly things to do in Eureka Springs, Arkansas, I always ask a question in reply: What kind of kids do you have? Do they (or you) need a more amusement park-like atmosphere? Rides, shows and video games? Do they prefer the Branson-esque action, each vacation day packed with constant stimuli? Or would they enjoy something a little more outdoorsy, a little less commercial? We have lots of families stay with us – kids of all ages – and many find the variety of outdoor activities Eureka Springs offers refreshing. For the more introspective kids, or parents who just want to expose their children to something other than theme parks all the time (I’m not knocking theme parks – I’m a huge Disney fan), I can suggest a few fun things. 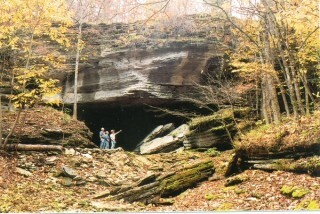 First, the caves. We have three near by, and one huge cave experience 2.5 hours away. The nearest cave is what I term a $5 cave, Onyx Cave (which is now up to $7.50 for adults). Basic, but you are underground, and didn’t drive to far for the experience. A starter cave, if you will. Maybe for the little ones, to make sure they are not overwhelmed by being in a small, dark space. drive in opposite directions. 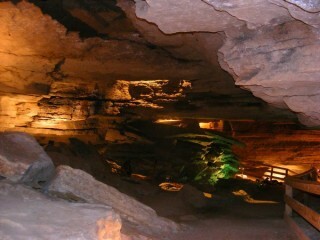 War Eagle Cavern can be combined with a couple other activities on my list (see corresponding blog posts coming soon). Both are great cave experiences, offering at least an hour tour, with lots of highlights expressed on either website (links above). For older kids, you can book a “Wild Cave” or “Spelunker” tour for a real adventure. Check out their website for hours and rates. A nice break in the summer as the cave hold very cool temperatures. For families staying longer in the area, and want to see on of the top ten caves in the US – Blanchard Springs Caverns are right up your alley. About two and a half hours east of Eureka Springs, Blanchard Springs is a wonder. There are different tours, each different lengths and on different levels of the cave. You can also book a Wild Cave Tour. If you are cave fanatics, this is worth the stop.